Which to Select, GLC-LH-SM Vs GLC-LH-SMD? Among so many different Cisco SFP modules, sometimes you may feel confused. Because the differences of some SFP modules are tiny, for instance, Cisco SFP GLC-LH-SM and Cisco SFP GLC-LH-SMD. If you can’t understand the the difference between these two Cisco SFP modules, you don’t know which one to select for your Cisco switch. This article is gonna explain GLC-LH-SM vs GLC-LH-SMD. Cisco SFP GLC-LH-SM is a hot swappable transceiver module that transfers the data rate of 1 Gbps. It’s compliant with IEEE 802.3 1000BASE-LX/LH standard. It supports the link lengths up to 10 km over single mode fibre patch lead at a wavelength of 1310 nm. It can be also applied for short network connection over multimode fibre cable (550 m). 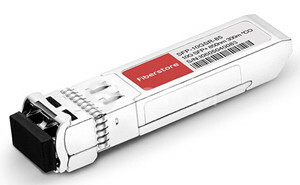 Cisco SFP GLC-LH-SMD is a hot pluggable transceiver module running the data rate at 1 Gbps. This SFP is interfaced with 1000BASE-LX/LH ports. And it can support both single mode and multimode applications. Cisco SFP GLC-LH-SM and Cisco SFP GLC-LH-SMD are both used for 1Gbps Ethernet network. They support with IEEE 802.3 1000BASE-LX/LH standard and are compatible with each other. The two Cisco SFP modules can be connected with single mode and multimode LC fibre patch lead. If one switch supports Cisco SFP GLC-LH-SM, then it can also support Cisco SFP GLC-LH-SMD. Here are supported switches for these two Cisco SFP modules: Catalyst Express 500, Catalyst Express 520, Cisco ME 3400, Cisco ME 4900 series, Cisco ME 6500 series, Catalyst 2940 series, Catalyst 2950 series, Catalyst 2960 series, Catalyst 2960 S series, Catalyst 2970 series, Catalyst 3560 series, Catalyst 3560 E series, Catalyst 3560-X series, Catalyst 3750 series, Catalyst 3750-E series, Catalyst 3750-X series, Catalyst 4500series, Catalyst 4900 series, Catalyst 6500 series, cisco IE3010 series. The difference between Cisco SFP GLC-LH-SM and Cisco SFP GLC-LH-SMD is that Cisco SFP GLC-LH-SMD has additional letter “D”. What does “D” mean? There are two kinds of misunderstanding about “D”. Some think “D” represent “duplex”. Cisco SFP GLC-LH-SMD supports duplex interface. But Cisco SFP GLC-LH-SM should be connected with duplex LC patch cable. 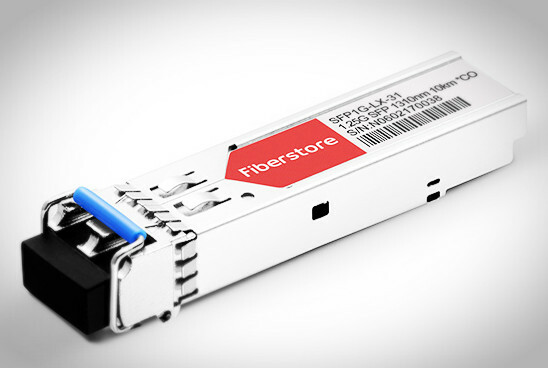 And nearly all SFP transceiver modules, except copper SFPs, are interfaced with duplex ports. So this understanding is obvious wrong. Some think that “D” means “ruggged”. This opinion is not true either. “Rugged” is abbreviated to “RGD”, for example, Cisco GLC-LX-SM-RGD Compatible 1000BASE-LX/LH SFP 1310nm 10km DOM Transceiver. “D” of GLC-LH-SMD transceiver has additional support for Digital Optical Monitoring (DOM) capability. From the features stated above, Cisco SFP GLC-LH-SMD can support DOM function while Cisco SFP GLC-LH-SM can’t. DOM provides a diagnostic monitoring interface for optical transceiver modules. DOM supports monitoring of optic output power, optic input power, temperature, laser bias current, and transceiver voltage. When DOM is enabled, the system monitors the temperature and signal power levels for the optical transceiver modules in the specified ports. Console messages and syslog messages are sent when optical operating conditions fall below or rise above the SFP manufacturer-recommended thresholds. Which to Select, GLC-LH-SM vs. GLC-LH-SMD? Cisco SFP GLC-LH-SM and Cisco SFP GLC-LH-SMD are very similar and compatible with each other. The only difference is that the latter one has DOM function. SFP with DOM is better for transceiver and system protection. So you are suggested to select Cisco SFP GLC-LH-SMD. Except these two Cisco SFPS, you can find other Cisco compatible SFPs from FS.COM. For more information, please visit out site http://www.fs.com. This entry was posted in Fiber Optic Transceivers, SFP Transceiver and tagged Cisco SFP GLC-LH-SM, Cisco SFP GLC-LH-SMD, Cisco SFP modules, GLC-LH-SM vs GLC-LH-SMD on April 6, 2017 by laura.